Q. 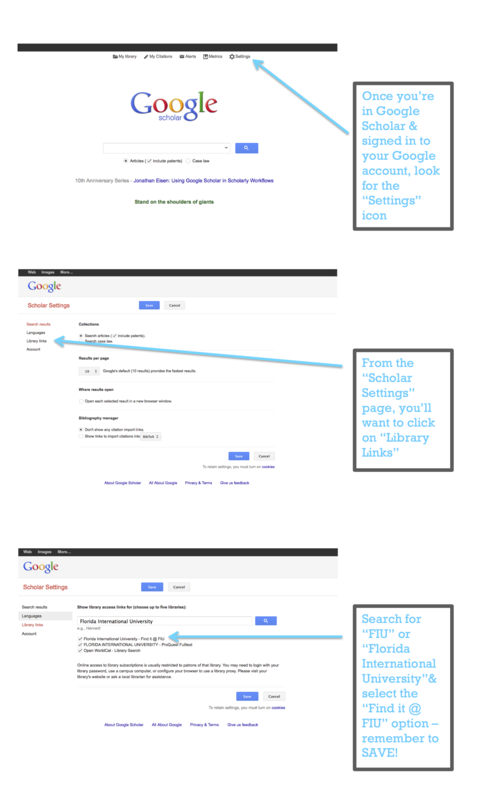 How can I change my IP address to FIU's IP to access Google Scholar from home? After you do that, you should see the Find It @ FIU link with your results. That will allow you to connect to our resources. If you are off campus, make sure you have logged in to link to access the article.